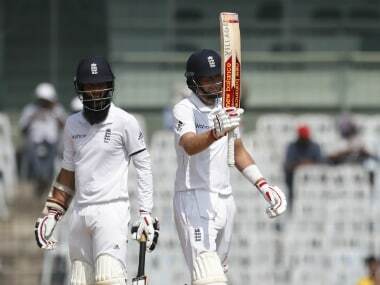 Chennai: England batsman Joe Root urged centurion Moeen Ali to capitalise on the strong start and put India under pressure in the fifth and final Test here. Moeen's 120-run knock was the highlight of the opening day's play as England, having already conceded the five-match series 0-3, recovered to reach 284 for four at stumps after losing two wickets quickly in the first session. "I thought the way Moeen played throughout was excellent. It was obviously quite tough to start the innings when he came out there in that situation. 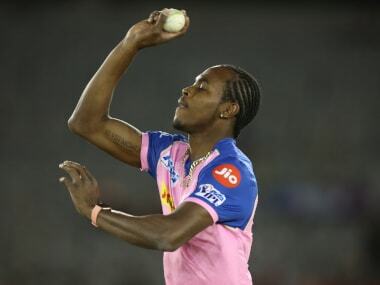 I mean just lost two wickets and the maturity he showed, which he has done throughout this year, has been brilliant. 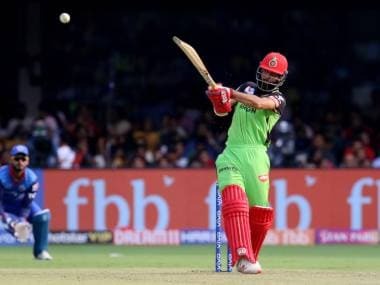 That added responsibility of batting higher up in the batting order he has taken really well on this tour and proved it with two brilliant hundreds. "Hopefully he can kick on tomorrow. The way he went through the gears today and put Indian bowlers back under pressure, used his feet superbly and got bat deep in the crease, he made it very difficult for their guys to bowl at him and hopefully this is the start of an innings and not just a day. He is gonna go on tomorrow and deep into tomorrow as well," said Root at the post match press conference. Root hoped that England could go back home with a win under their belt. "It would be really nice to go home with a win under our belt and we have set it up nicely today. It is about taking it forward tomorrow. And hopefully Moeen can carry on how he has played today. Stokesy can get in and play one of his mouth-watering innings he is capable of. Take the game to India and set it up nicely. "It's making sure that we take the mental approach we put today into the game tomorrow. I think if we go about our batting as we did today it will give us a really good chance to set up a good score and put pressure on India," he said. Asked whether he regretted playing the shot, when on 88, that caused him his wicket, Root said: "I would be lying if I say that I was not frustrated about it. "But I don't think I would have done anything differently if I have my time again, I still be playing the same shot. I think it's something to keep maybe at the back of my mind but I am not going to change the way I am playing and I am still gonna go back to the business that I have done for the last year or so. It's about being better at it I think. 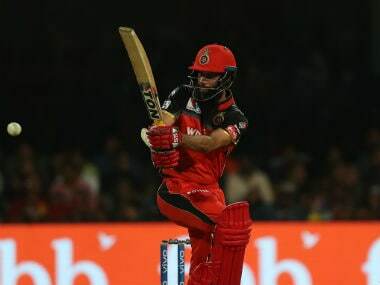 "I think you always look into bat for as long as you can and score as many runs as you can. Maybe might need to rein in slightly. But my instinct is to get better and doing it for longer periods of time," he said. Root said he was not convinced that he had hit the ball in which he got out. "No I was not convinced I hit it. Obviously technology suggested otherwise but it's disappointing when you are convinced that there's nothing. I mean look at the keeper's reaction he was not interested either. It was one of those where Kohli just went with his gut and it went in his favour. But it is what it is," he said. "If you look at it, the bat was not near the floor then it would have been out. You have to take it on the chin, must have been a fine one, didn't hear a noise didn't feel anything on the bat. It could be one that just bypassed me and genuinely out. I could have been a bit childish with my reaction as I walked off but playing international cricket you gonna be disappointed when you feel outdone by even if you have not," Root explained. On his batting practice at a tennis court yesterday due to unavailability of the practice pitch, Root said: "My feet was all over the place in Mumbai against the seamers. I wanted to iron a few things out. We tried the tennis courts behind the stadium road (belonging to Madras Cricket Club). We do that away from the cameras, to be honest, in case it went pear-shaped. We used my gloves as stumps and I was padded up with bat. "Obviously the nets weren't ready and it was the only surface we could find. A few of the local guys helped and we got a few of the things sorted. It was nice to have that peace of mind going into today. Just being able to not worry about any technical issues." He said it felt good to back being a kid again, playing on the street. "You think about how lucky we are with the kind of practice facilities we get in international cricket. So go back to being a kid again, remember what it's like to play on the street. It's one of the reasons why you look to get into cricket. It's just pressure and thinking about the game, so just enjoy batting again. That feeling, it just relaxed me. "I don't think I am going to do that anytime soon if there are wickets available but it was quite nice to do that," concluded Root.